13 year old boy. 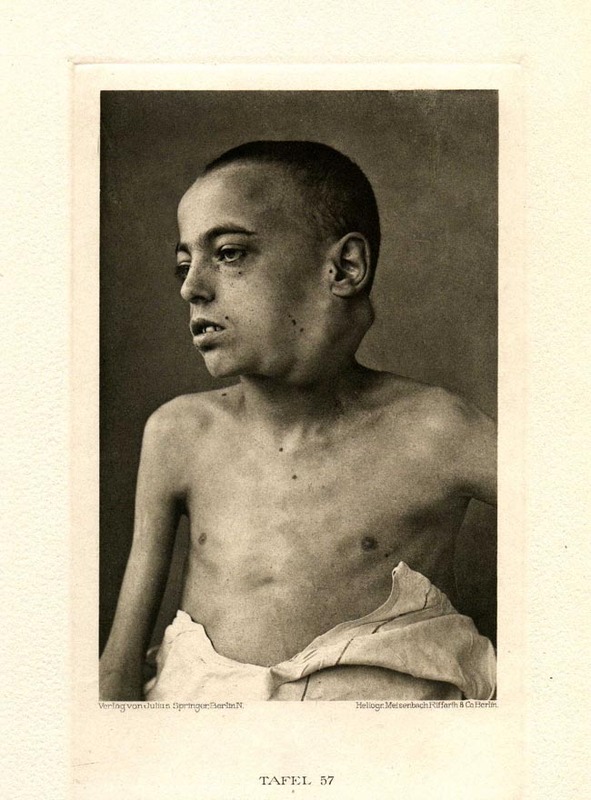 Anamnesis without indication of tubercular illness in the family. Father and 6 siblings are alive and healthy, mother died from a malignant tumor. Patient had pox in early childhood, no disease otherwise. First attack of the tumescence about 7 months prior in the lymph gland on the left side of the neck, without any external cause. Nothing microscopically noteworthy of the blood cells.